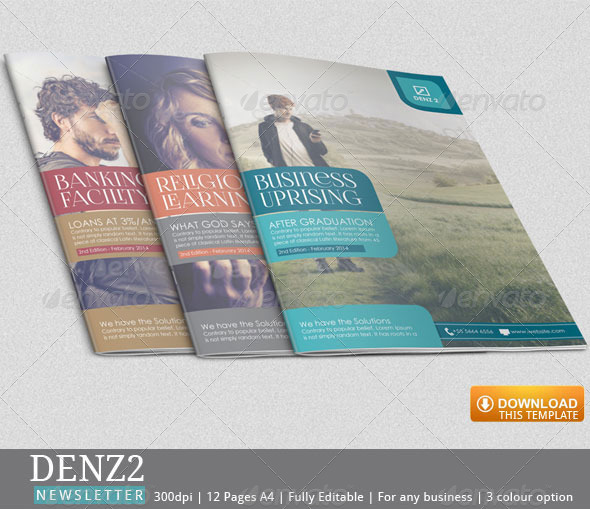 This Business Newsletter has been designed three months after the first Denz Newsletter Template was out. 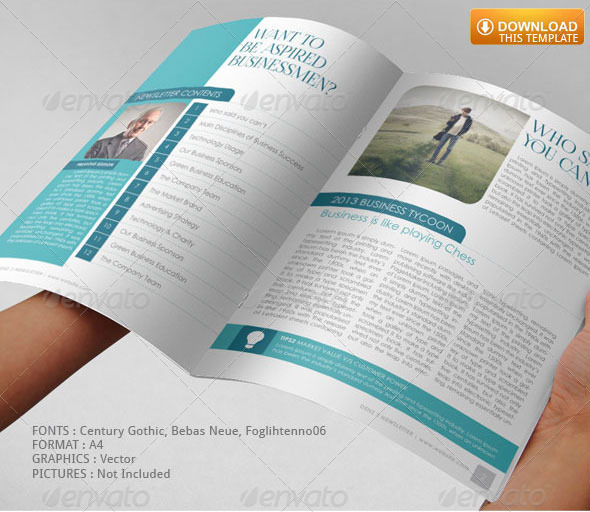 The first newsletter template, that is the volume 1, was used by some big corporate companies. 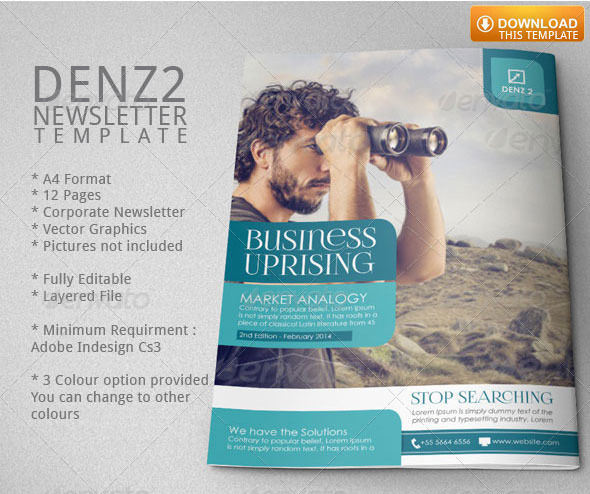 Using the DENZ Style will put you in the hight rank of marketing. • It is available in 3 colours. • The blue reflects the companies in finance, banking section. • The red reflects companies in the creative field, such as web design. • The Orange reflects companies or religious organisation dealing with social stuffs. 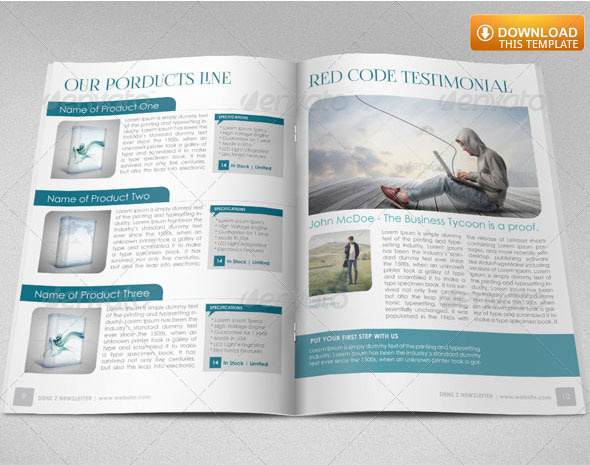 This DINA4 Newsletter example is of twelve pages precisely designed for classy business advertising. It will drive your clients in reading what you have to sell. 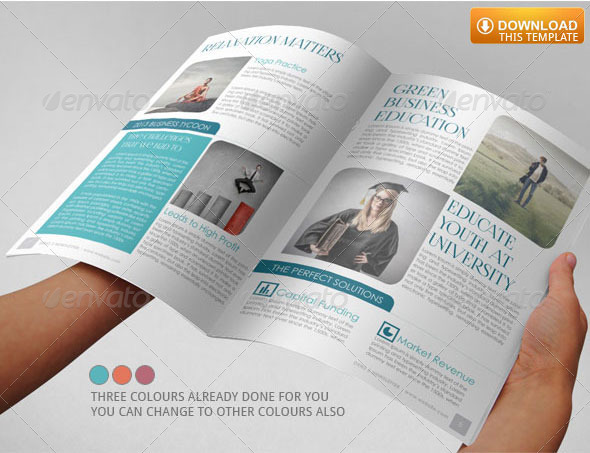 Now that you have got an awesome newsletter sample, it is time for you to write some great contents. 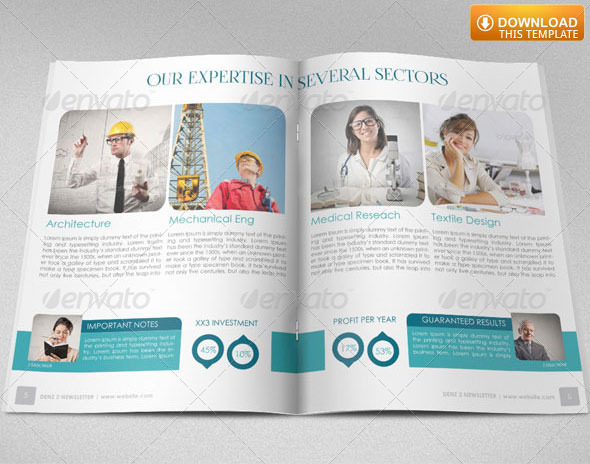 You can use this template for your presentation, if you have done a project and you would like to use this template to present your work as a report, you are most welcome. NOTE: Links to the pictures i used are provided in the HELPFILE.